Last week my friend Tom and I went on a hunt for some good Philly cheesesteak here in Berlin. He grew up near Philly, and we became friends when we were both living there, so we are pretty discerning when it comes to cheesesteak. We first tried The Bird (Kottbusser Damm 95, right by U Schönleinstrasse) which has a lunch special: Philly cheesesteak, fries, and a drink for 8.50€. Tom and I split one, since we knew we'd be having a second cheesesteak in short order. Verdict? Decent, but didn't scratch the Philadelphia cheesesteak itch. The fries were pretty good, and there were plenty of them. 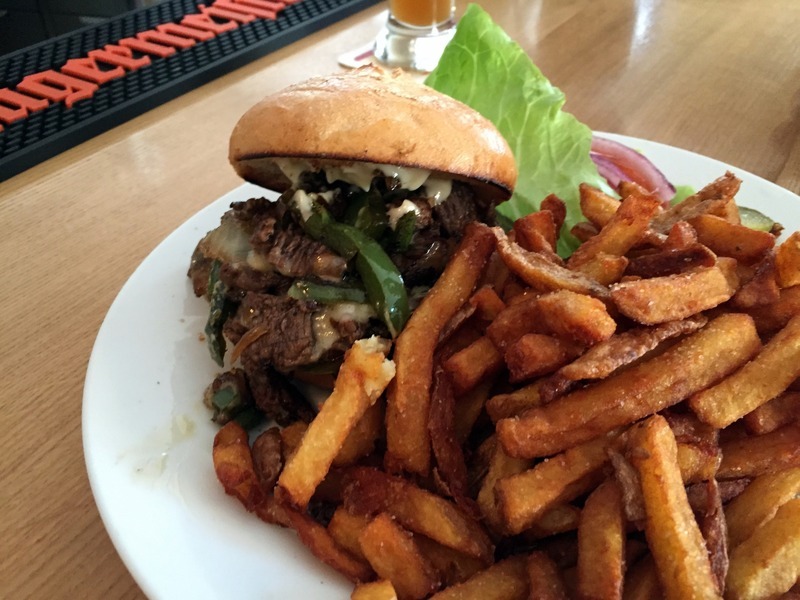 The cheesesteak was on a hamburger bun (though they use English muffins for their burgers, so maybe it's their thing?) and therefore not cheesesteak-shaped. Traditionally it's on a longer Italian roll, or at least what people in Philly call an Italian roll. The meat was good, but very chunky instead of being more thinly sliced. The green peppers you can see are a nice touch, though we didn't ask for them. I can't even remember what kind of cheese was inside. Our second stop was Hamburger Heaven, of which there are two. We went to the one at Graefestraße 93, which is basically a food stand with some outdoor tables. Dress warmly if you're going in winter! There you can get 6" cheesesteak for 6€ or a footlong (12") for 8€, so we got a big one and split it. Berlin Philly cheesesteak number 2! This one reminded me a lot more of the cheesesteaks of yore. It was cheesier, it was in a long, crunchy roll, it had onions and peppers, and came wrapped in paper. Needless to say, both of us were much happier about this cheesesteak. 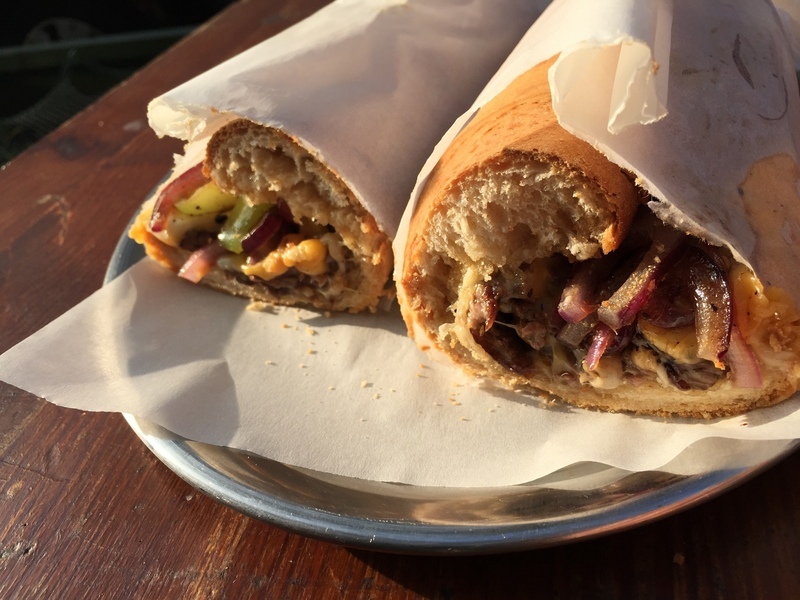 Since I've only been to two places, I can't call this the best Philly cheesesteak in Berlin yet, but of the two I've tried so far, Hamburger Heaven's is better by far. But in neither place do you need to worry about how to order a Philly cheesesteak properly. There weren't any options.